SeattleDances recently started a collaboration with KT Niehoff to host a monthly event called Dance CHAT. Our first event was last Tuesday, October 6 at 10 degrees—a big thank you to everyone who attended! 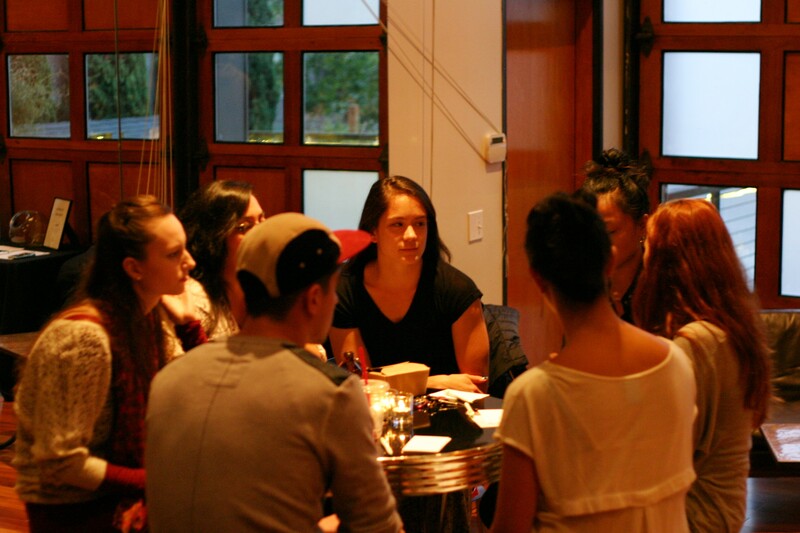 The goal of Dance CHAT is to provide a space to have conversations about dance in Seattle. Dance CHAT is an opportunity to have informal discussions about what happened on Seattle stages, to talk about issues that performances or their reviews brought up, and to create another avenue to engage with dance. While a lot of discussion happens on social media these days, Dance CHAT is an opportunity to talk in person, to truly hear other people’s views, and to gain new understanding and new perspectives. We discussed these ideas in small groups, which led to new topics and ideas. After a short break, we finished the evening with a whole-group discussion. It was wonderful to hear the thoughts of a diverse group of dancers, choreographers, writers, and dance enthusiasts. Attendees were in every possible stage of their career and from many different backgrounds, so each person brought a different view to our dialogue. A wide range of topics surfaced throughout the evening. SeattleDances Editors and our facilitator Jen Salk compiled some notes and and questions that came up. We hope you can continue these conversations, even if you couldn’t make the event. Context for a performance. To read the program notes or not? People walk into a performance with assumptions. What aesthetics do we value and why? What kind of support do artists need, both pre- and post-performance? Long choreographic process allows for many open rehearsals and opportunities for feedback while the typical tight, fast process often does not allow for much feedback. People desire more pre-performance support—both in terms of writing and in terms of feedback. Lack of support or feedback during a choreographer’s process often makes receiving a review after the fact feel quite damaging, especially to young choreographers. How do we talk about dance? What kind of language do we use to talk or write about it, as well as to critique it? The most offensive thing a critic can do in a review is be dismissive of the work. The feeling that critics having a “free pass” to say whatever they want and that critics ultimately have the final word. People want more of a forum for choreographers to comment or respond to critics. 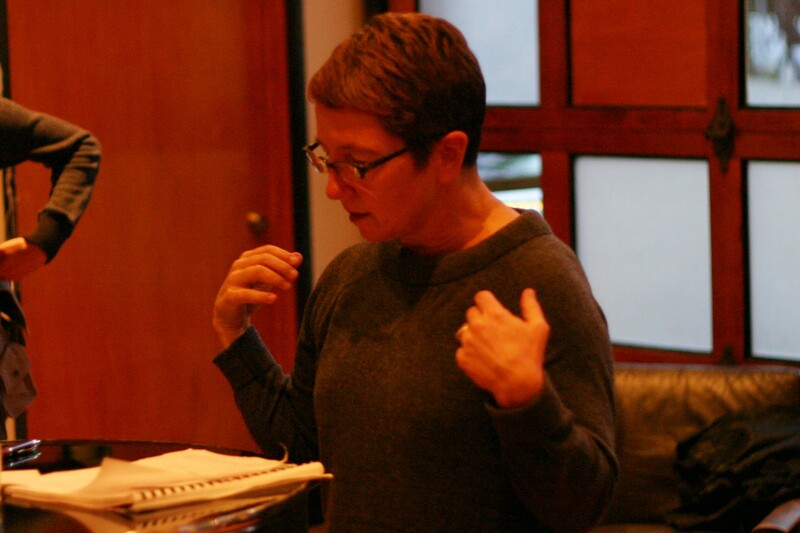 Sandra Kurtz pointed out that dance writers are eager for that kind of response and dialogue. We discussed utilizing comments sections on reviews, encouraging people to engage with reviews on the site where they are posted. We discussed at length the role of the critic—each dance writer shared their own perspective and approach. Evaluative? More descriptive? What kind of research does a writer do before/after? Good criticism should make an artist want to go back into the studio, rather than not want to make work again. They should not feel defeated even with criticism. A wish for reviewers to frame their critiques as giving choreographers a new way to look at their works. What is the purpose of traditional reviews today? Who do they serve if only the artists and dancers are reading them? The practice of close observation of a work is more helpful than a yay or nay review. The prevalent “thumbs up/thumbs down” culture and how this makes it difficult to see nuance in a review, especially one that critiques. Do we place too much responsibility on the critic to take care of artists? If an artists puts work out there they shouldn’t be in denial of getting a response. Artists should take responsibility too. “making a statement in a small community is very political” – meaning a verbal statement about someone’s work. There was discussion by some people about preferences for seeing work that challenges them and makes them question, but also observing the humanity, generosity and intimacy they are seeing in recent work that has been really satisfying. We are excited about the conversations we had at the first Dance CHAT, and look forward to more. The next Dance CHAT will be held at 10 Degrees on Tuesday, November 17, from 5:30-7:30 PM. It’s casual, so people are free to come and go—many people came straight from work, and a few ducked out early. If you came to the October Dance CHAT, let us know what you thought! Leave us a comment or send an email to editors@seattledances.com. We’d love your input as we are shaping future sessions. In the meantime, ponder some questions, talk to your friends, and go see some dance! More information about the November Dance CHAT can be found here. *Acocella, Joan. “Imagining Dance.” Moving History/Dancing Cultures: A Dance History Reader. Eds. Ann Dils and Ann Cooper Albright.